We are very excited to be hosting Woodward's Winter Triathlon at the Craftsbury Outdoor Center, on Saturday, February 23! Racers may choose from either a 4k snowshoe run, an 8k snowshoe run, or a 17k triathlon. 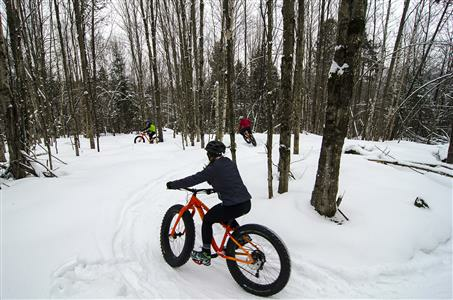 The triathlon will include a 4k snowshoe run, 8k fat tire, and 5k nordic (freestyle) ski, in that order. Register for the event on SkiReg. We hope to see you there!